Thickened and Enlarged Adjustable Strap: With black braided fabric on the outside and super-soft wool lining that is air permeable and sweat-absorbent in the inside, the special-made strap comes with seamless binding and an adjustable snap joint to fit your wrist most comfortably. Ergonomic Orthotic Comfort Grip: The lengthened EVA anti-skid grip is made of exquisite high-end duel density foam, which absorbs moisture effectively and puts the perfect fit in the palm of your hand. 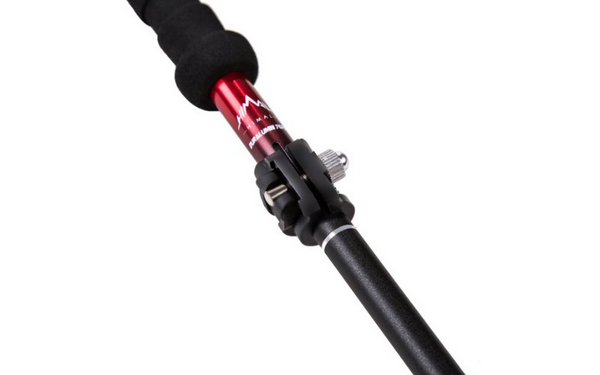 Together with the extended EVA shaft, the durable grip makes it easier for users to change gesture without skid during longtime use. 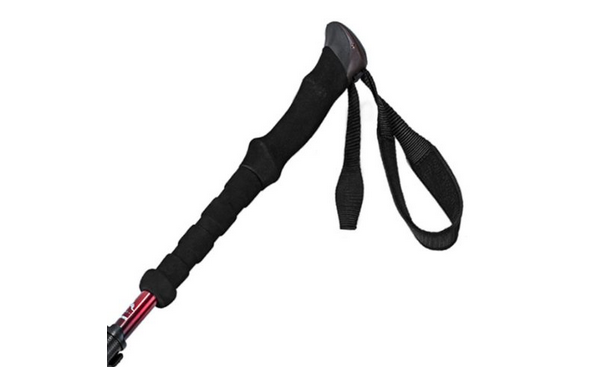 Quick Twist-Locking: With unique design of inside and outside twin locking system, collapsible shaft connected by elastic cord, ultralight fastening accessories, and adjustable lock catch, it can be securely fastened in seconds. 5-Section Aluminum Shaft: Made of selected 7075 T6 aerial aluminum alloy, tough and anti-impact. Advanced oxidation process is adopted to protect the surface. 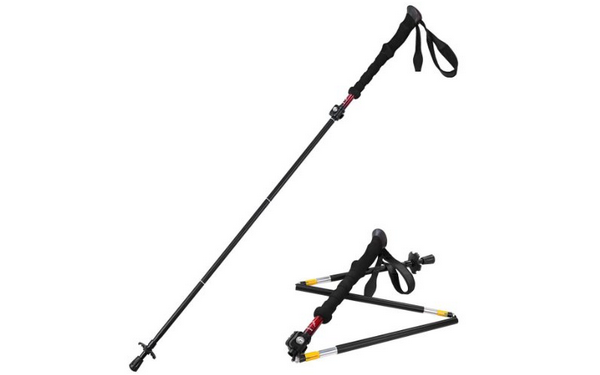 The shaft is made according to international standard of 135cm, and can be adjusted precisely to your exact height and securely locked in seconds with a twist of the wrist.